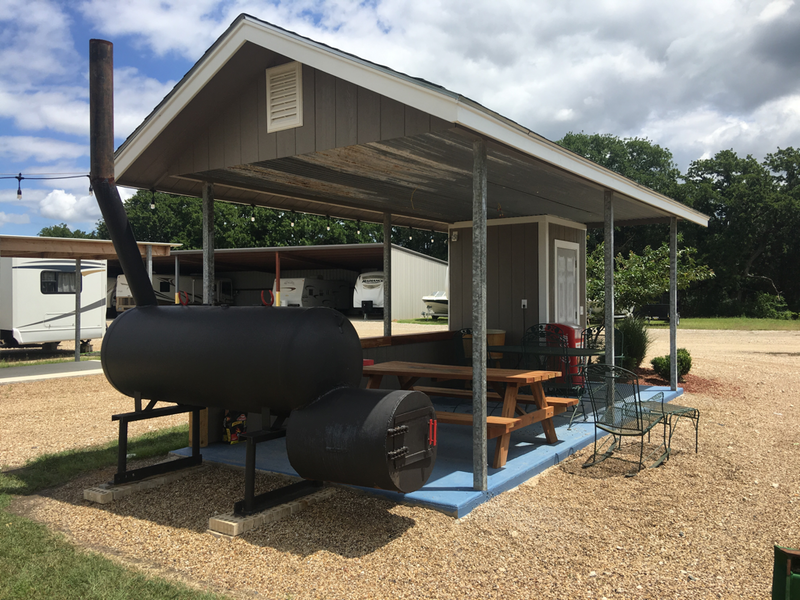 OUR COMMUNITY SMOKER IS AVAILABLE FOR GROUP GATHERINGS. 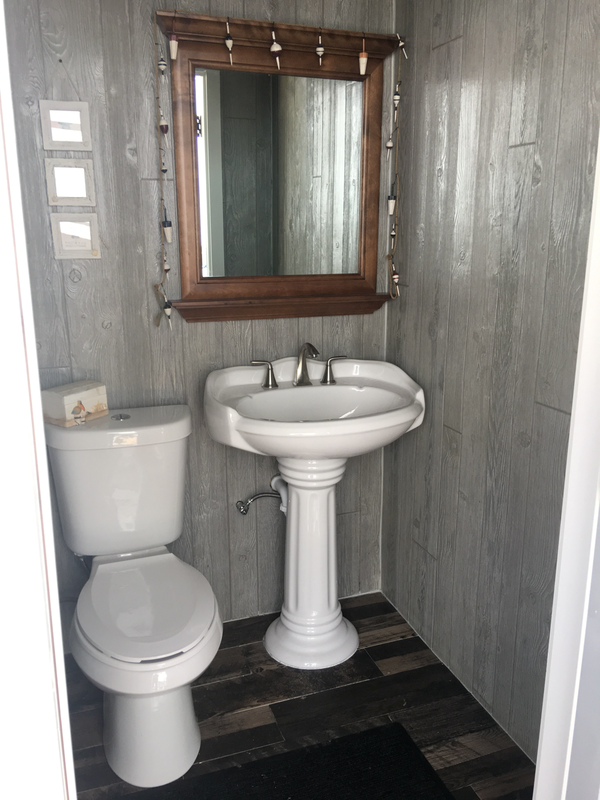 IT ALSO HAS A BATHROOM FOR YOUR CONVIENCE. 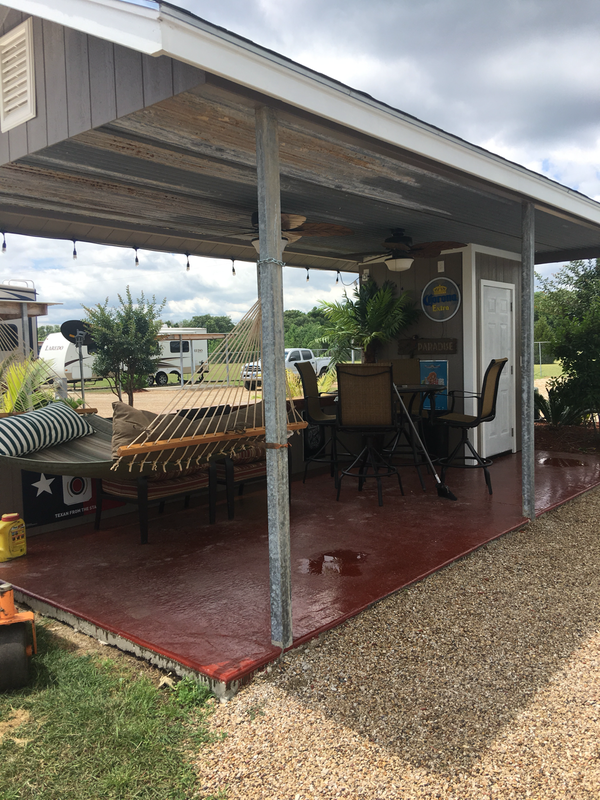 The RV Resort is located at the back of the storage facility to provide you with privacy and security inside a gated and fenced area. 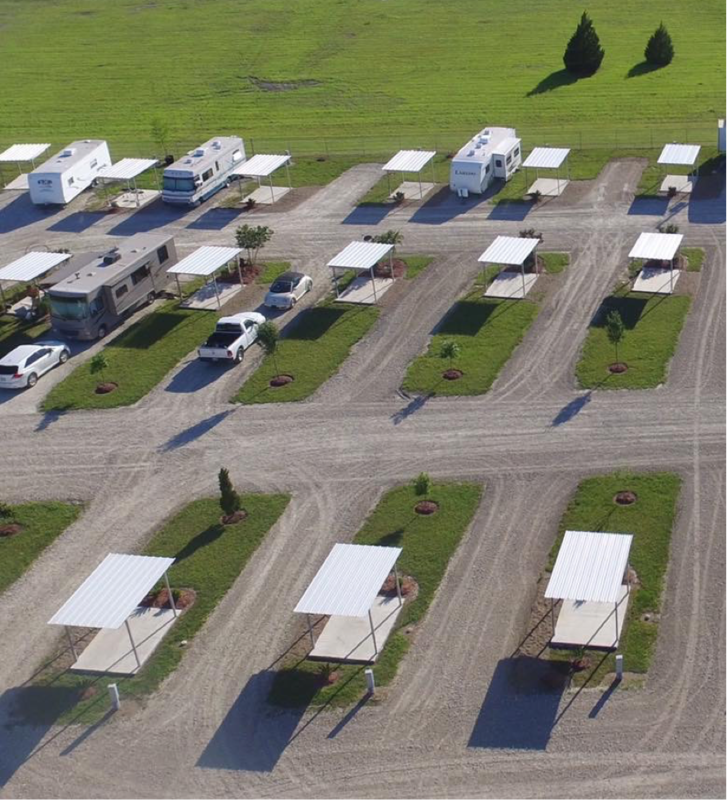 The RV sites are designed with plenty of room for those big rigs with both pull through and back in spots available. All lots are equipped with 20/30/50 amp service hookups as well as water and sewer. These spaces provide you ample room to not feel crowded with landscaped and grass areas as well as covered concrete picnic areas for you to enjoy. We are a pet friendly facility and look forward to seeing you here.